Today would have been Russ Cain’s 73rd birthday. Russ was a member of this Local and an integral part of the volunteer leadership of the Guild. Hailing from the Monterey Herald unit, Cain was a stalwart in the constant fight for media workers’ rights. Read more about Russ by clicking here. Russ passed away two years ago. 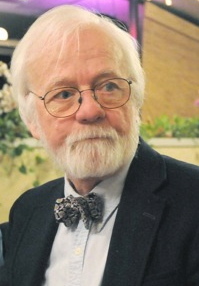 In honor of him, Guild members established the Russ Cain Memorial Student Aid Fund. Out of that fund, the Guild awards scholarships to college-bound dependents of Guild members. Funds are also used to help sponsor journalism students that participate in the Guild’s Bay News Rising mentorship/training program. 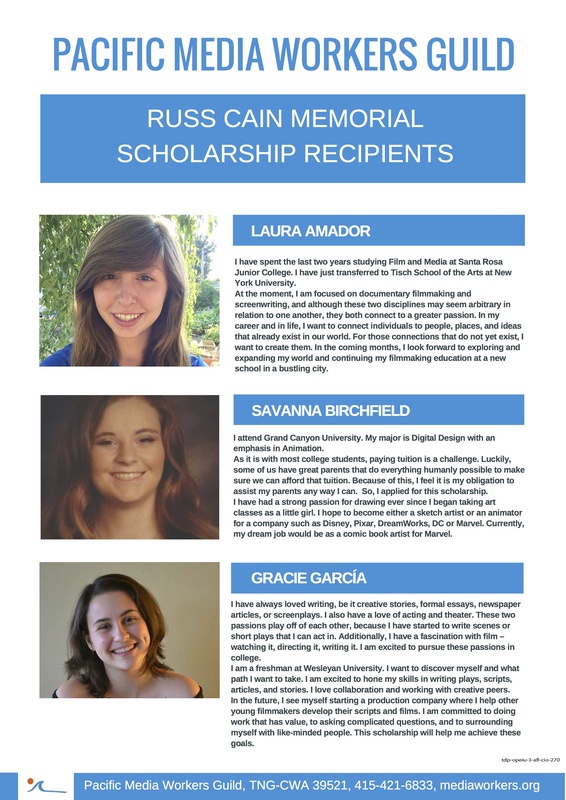 This year, the Guild selected three recipients for the scholarship funds: Laura Amador (daughter of Santa Rosa Press Democrat member Doug Amador), Savanna Birchfield (daughter of IGA unit leader Angie Birchfield) and Gracie Garcia (daughter of IGA member Rene Garcia). Each of these young women has a passion for story-telling, whether in the media of film, creative writing or digital design. We want to thank everyone who donated to the fund. Congratulations to Laura, Savanna and Gracie. If you would like to contribute to the Russ Cain Memorial Student Aid Fund, please contact administrative officer Kat Anderson at (415) 421-6833. The family of Russ Cain are very touched by this memorial scholarship. He valued education so highly and never ceased in his quest for learning. He would have downplayed this honor but would have been proud of these three young women. Thank you for such a meaningful way to help keep his spirit with us. I’m incredibly happy for my sister Gracie. She’s got so much potential and this will really help her.